Black Friday: Can you actually bag a bargain and will it last? It’s a day when we part with our money, stand in long queues and try to avoid crazed and confused people. No, I’m not talking about a day at the department of home affairs, I’m referring to Black Friday, which this year falls on November 23 (less than a week away). It’s not a national holiday but a day that we’ve inherited from America, which is typically marked by retailers (online and in our malls) heavily discounting their clothes and electrical appliances. Last year queues snaked around and within shopping malls as bargain hunters sought discounts at shops such as Game, DionWired, Pick n Pay and OK, and at fashion retailers such as Foschini and Markham, and this year will probably not be any different. It’s not only bricks-and-mortar stores that will boast deals – their equivalent websites and other local e-tailers, such as Takealot (with its Blue Dot Sale) and Superbalist, and international sites like Amazon, are also set to offer deals that will stir up a frenzy. Cyber Monday (November 26) follows closely and here we can also expect online websites, particularly those dealing in tech and electronic items, to offer discounts. When it comes to buying online, how can we ensure that we’re not only buying items at a discount but doing so in a safe way too? More consumers are opting for greater convenience by shopping online. With 45% of digitally connected consumers in South Africa claiming to have bought products online in 2017, information security fears remain one of the major concerns and barriers to shopping online and bagging a bargain from the comfort of our own homes. There is always a risk of cyber crime and information safety when transacting online. Information security fears are well founded and could ruin any online shopping experience. Being alert to potential scams is vital in protecting yourself while enjoying your online shopping experience,” says Cowyk Fox, managing executive of transactional banking, card and payments at Absa Group. 1. This authentication feature allows users to monitor suspicious fraud transactions and ensures accounts can only be accessed on devices that you trust. “This adds an extra layer of protection for you. Using 2FA also means that you’ll be alerted immediately if a transaction you haven’t authorised is about to take place. You can act immediately and save yourself from fraudulent activity,” says Fox. 3. Update your virus software: Always shop on a secure, private network. 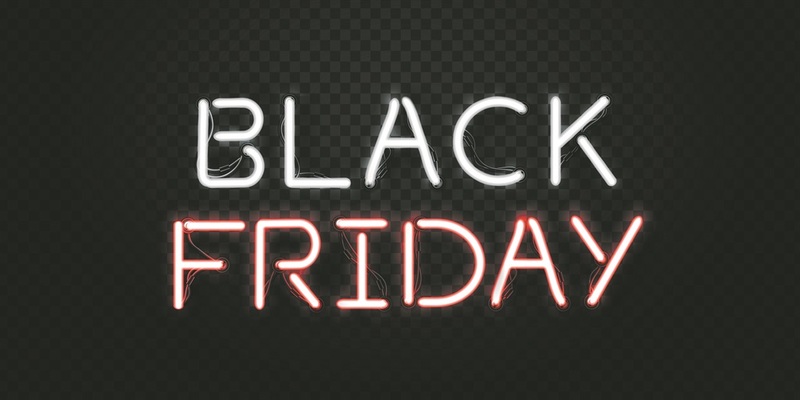 Don’t use networks offered by coffee shops or hotels, for example, to conduct your Black Friday shop, as these aren’t secure and can easily be hacked. 4. Be informed about scams: These days fraudsters are cloning websites and even phone numbers. So you could go on to a fraudulent site or receive a phone call from someone pretending to be from a legitimate organisation or retailer. If you get a call out of the blue and the caller encourages you to go on to a site to make a payment, put the phone down! 5. Keep an eye on your account and look out for any unusual activity: “Vigilance is your best weapon, so use it. Check your statements and accounts regularly to make sure you’re the one spending your money. If you find any suspicious transactions, get hold of your bank straight away,” advises Fox.